Dr. Shannon Waters is Coast Salish and a member of Stz’uminus First Nation. She completed the First Nations Family Practice program at UBC and worked as a family doctor in Duncan. While honored to work close to home, Shannon became frustrated seeing people mostly when they were unwell and wanted to focus on keeping people healthy in the first place so she returned to school and completed specialty training in Public Health and Preventive Medicine. 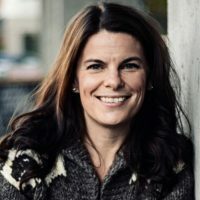 Shannon worked as the Director of Health Surveillance at First Nations and Inuit Health Branch and,at First Nations Health Authority as the Acting Senior Medical Officer for Vancouver Island Region. She has worked with Vancouver Island Health Authority as a Medical Director and with the Ministry of Health as the Aboriginal Physician Advisor. She is currently honored to be working in her home territory as the local Medical Health Officer with Vancouver Island Health Authority.